MOZAIC II WAS UNVEILED SATURDAY, APRIL 13. Regional Councillor Tom Insinna and local Royal LePage realtor /South Coast Cookhouse owner Phil Smith did the honours. It’s mounted next to MOZAIC I on the north wall of ‘The Little Spa’ on Derby Road. Take a stroll sometime and see these amazing works of art. Each tile was created and contributed by a member of our Crystal Beach community! If you would like to contribute a tile or two to MOZAIC III, see Robin at the Crystal Ball Beach Cafe (4028 Erie Road). She has a cache of tiles on site and will happily give you one or more. You can return your artistic creations to her when you’re done. While you’re there, indulge yourself in a cup of coffee/tea and something to nosh while you check out the art display of local artists. Robin changes it up every month and one gets a sense of the talent right here in our own community. Sound like fun? You bet it is! 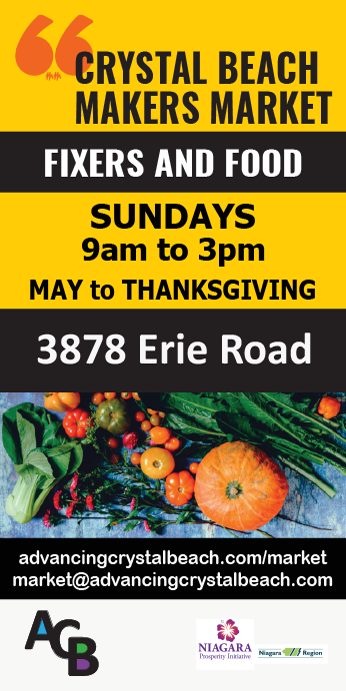 Click on the poster and see what our Market is all about this season. Lots of updates coming soon with VENDOR news and SPECIAL EVENTS. Check in regularly for CALENDAR and BLOG info!!! Family Fun In The Niagara Region! 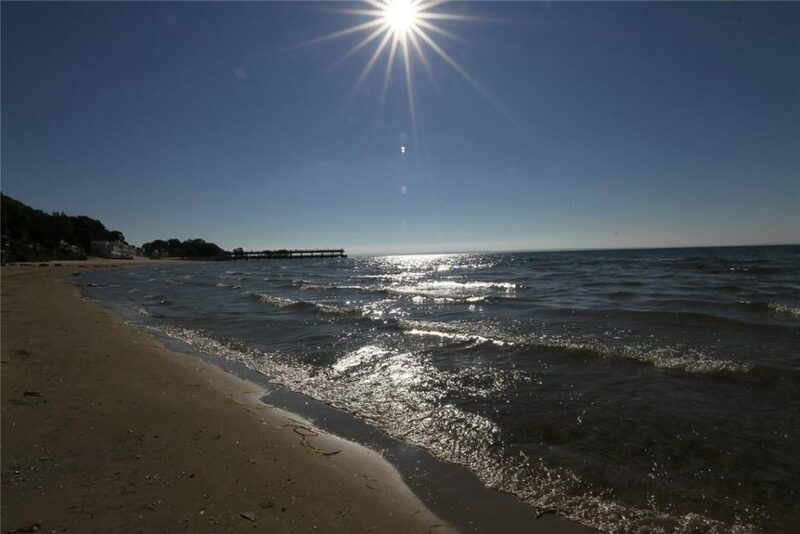 Family-friendly WEEKEND EVENTS In The Niagara Region!